Ahmed musa scores in Russia to warn Egypt. 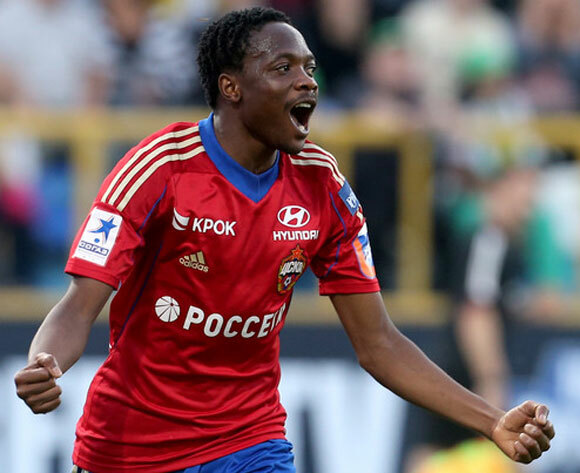 Nigeria skipper Ahmed Musa fired a big warning to Egypt on Saturday when he smashed two goals for table-topping Russian club CSKA Moscow against Kuban Krasnoder. Top target of several English Premier League clubs, Ahmed Musa struck in the 21st and 81st minutes for CSKA Moscow to win 2-0. Fellow Eagles star Aaron Samuel was a stoppage time replacement for the Eagles skipper as both players fly in for the must-win AFCON qualifiers against Egypt beginning with the first game on Friday in Kaduna. Ahmed Musa has now scored eight goals in the league, just two goals short of his tally for last season. CSKA remain on course to reclaim the Russian championship as they lead the standings with 43 points from 21 matches, two points ahead of closest rivals Rostov.